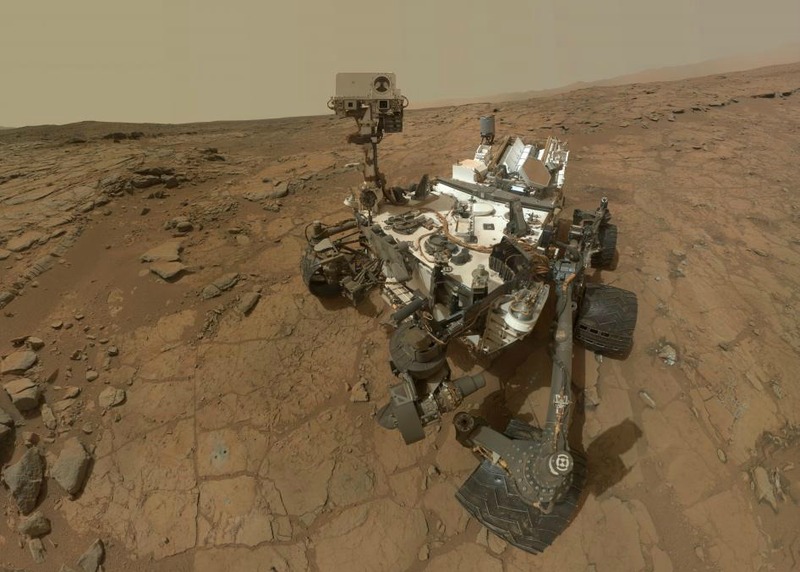 Last week, scientists made front page headlines when they announced that the rover currently exploring Mars had sniffed methane – an organic compound that just might be the waste product of Martian life, or not. In recent years scientists have found life underground on our planet in the form of organisms that might just be tough enough to survive on Mars. 1. In experiments, scientists demonstrated that methane-producing microbes can live under Mars-like conditions. In his lab at the University of Arkansas, biologist Timothy Kral subjects bacteria to conditions similar to the presumed sub-surface of Mars. He found that one group could survive for up to 120 days despite the extreme cold, dryness and low pressure – single-celled organisms that are called methanogens because they excrete methane. Kral said he and other biologist have suspected since the early 1990s that if anything could survive on Mars, it would be this type of life. “They are ancient and simple organisms” he said. They flourished here on Earth before plants and animals and could remain after we are gone. Methanogens don’t like oxygen – it’s toxic to them – so when the Earth’s atmosphere became rich in oxygen 2.4 billion years ago, they moved underground. These organisms have simple appetites. Unlike plants, they need no sunlight. Unlike animals, they have no need to eat other living things. They live off just carbon dioxide, water and hydrogen. Mars has carbon dioxide and hydrogen. There’s frozen water. 2. It used to be nicer on Mars: All the water on the surface of Mars is frozen, but as scientists continue to explore, evidence keeps mounting that the climate was a lot warmer several billion years ago. Geologic features look a lot like dry rivers and lake beds, suggesting it was warm enough for liquid water to flow, at least periodically. Mars is close enough to the sun that such warmth is perfectly plausible if it once had an atmosphere with sufficient carbon dioxide – a so-called greenhouse gas that prevents our planet from freezing. The crucial difference between our planet and Mars is that Earth is big enough for gravity to hold a stable atmosphere. Mars is smaller, so its atmosphere appears to have drifted off into space. 3: Life began very early in Earth’s history. Chemical traces of life indicate that it had already spread around the globe by 3.7 billion years ago, which is not long after our planet would have cooled off from an initial molten state. That suggests that life doesn’t need eons of time to form once favorable conditions arise. Mars was only nice for a short time, but it might have been long enough for life to have emerged. 4: Mars and Earth Have Exchanged Stuff. We have a number of meteorites from Mars. We know their origin because they carry a return address in the form of little bubbles of trapped gas. Scientists can tell that trapped gas matches the composition of the thin Martian atmosphere as measured by various NASA landers. “It’s clear the trade routes exist,” said Andrew Knoll KNL +0.05%, a biologist at Harvard University. Our planet is a bigger target, and so it’s more likely life would have started there and landed here, but Earth rocks must have landed on Mars as well. The oldest known Mars rock to have made the journey, called ALH84001 has been the subject of intense study since it was discovered in Antarctica in 1984. In the 1990s, NASA scientists announced possible signs of fossil life in this rock – a discovery that was indeed too good to be true. 5: We have to look. Our understanding of the nature of life would be transformed if we had a second example. All life on Earth sprung from a common origin. Not only does all life use the same system for transferring information – DNA and its relative RNA – but many of the specific sequences of code are the same in bacteria, plants, and animals. If life arose independently somewhere else, we don’t know if it would use DNA or something similar. To qualify as life, something would have to replicate itself, transfer some kind of information to subsequent generations, and undergo evolution.